The gloss inset sink comes with 0.8mm thickness and is finished off with 18/10 304 grade stainless steel leaving a crisp and clean look to your sink. 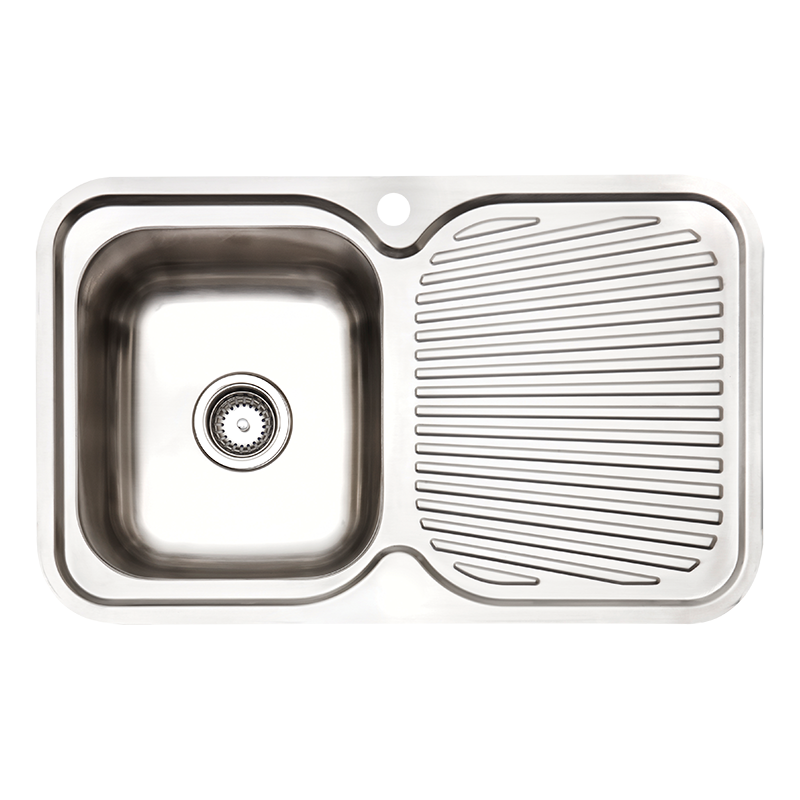 The 22L sink sits 180mm deep and is great for washing all types of crockery, pots and pans. The attached drainer flows back into the sink to allow for it to be easily cleaned.